I am pleased to welcome a new sponsor to Recycled Fashion; BRANCHED. Established in Melbourne by two friends with an interest in fashion and sustainability, BRANCHED have recently introduced two very interesting brands to the Australian market; WeWood and Proof Wooden Eyewear. 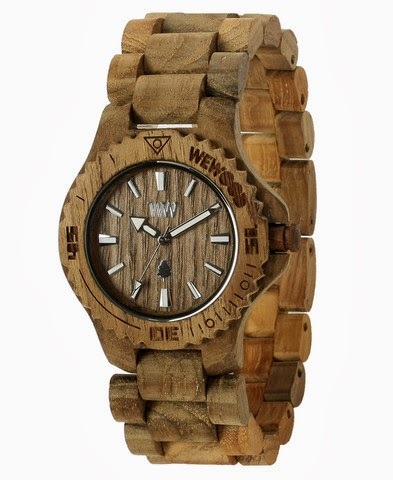 Originating in Florence, Italy, WeWood is a new sustainable Eco-Luxury Watch, completely absent of artificial or toxic material. Each watch is made from a sustainable wood, for example their teak collection uses 100% recycled wood, ensuring not a single tree is cut down in their creation. In addition to being a sustainable product in the material sense, WeWood have teamed up with Carbon Neutral to plant trees in Australia for every watch sold to plant one tree for every watch purchased, under their plant-a-tree campaign. Secondly, BRANCHED support Proof Wooden Eyewear; the only Eyewear Company to offer a 100% Sustainable collection. Originating in Eagle Idaho in 2010, Proof has expanded to become an internationally recognised sustainable brand, creating a collection of eco eyewear, blending environmentally friendly materials to offer biodegradable, ethical frames. Some of the proceeds from Proof Eyewear have recently built an Eye Clinic in India to help those in need and give the gift of sight. Thank you to BRANCHED for not only supporting Recycled Fashion, but also for introducing two great sustainable products to the Australian market. That's a very cool watch, Erica!